Washington D.C – Following the confession of Toronto’s Rob Ford about smoking crack like it was still the 80’s, President Obama believed it was time to be honest to his public. 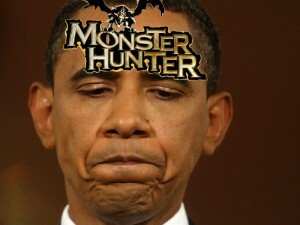 In a surprise press conference, the President admitted his addiction to the popular action RPG series, Monster Hunter. “I am ashamed to admit that it has come to this. I have no idea what came over me in the past few years, but I could not stop playing,” said a pained Obama as he gazed downwards, playing Monster Hunter 4. “My marriage almost fell apart. I kept ignoring Michelle and my children because I needed three more Rathalos rubies.” Reporters were baffled at this sudden confession from the President. When one journalist was asked how he felt after hearing this, the only words he could muster were “I feel betrayed,” as tears ran down his cheeks. “I have let down my public. The recession, the wars in the Middle East and Vietnam, the Mass Effect 3 endings, an asteroid crashing in Russia…it was all my fault. 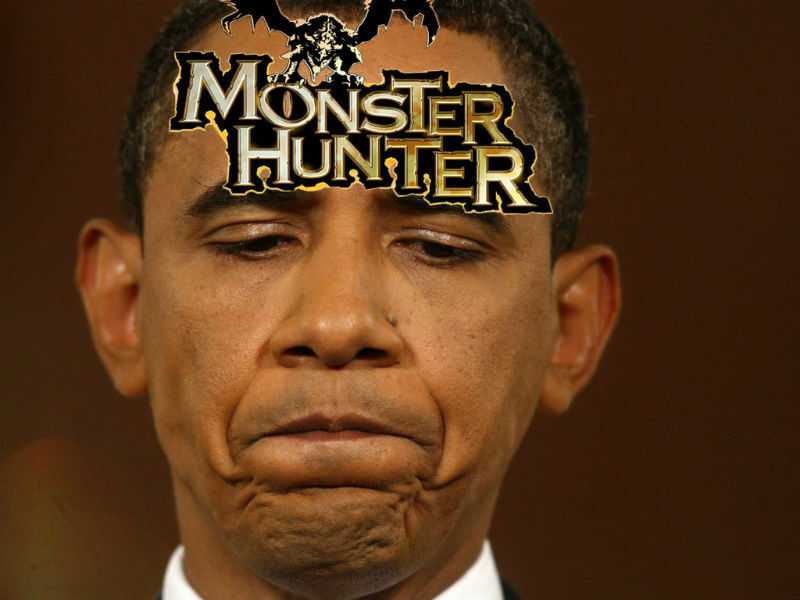 While that asteroid came crashing into our planet, I could have been building an orbital defense system instead of killing twenty Deviljhos so I could make that beautiful Greatsword,” Obama said before finally closing his limited edition Monster Hunter 3DS. Afterwards, the President exited the stage, caressing his handheld. 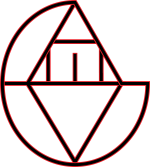 Hours later, thousands of people died of starvation, disease and old age around the globe. It was clear that the President did not keep his promise of laying off Monster Hunter, a decision that might have cost him his third re-election.